A file photo of a wooded area. 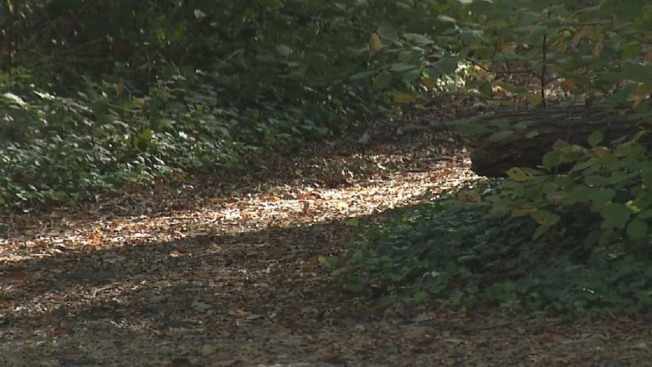 A man and woman in southern Minnesota are accused of dropping off a 5-year-old boy in the woods as punishment for wetting himself. A man and woman in southern Minnesota are accused of dropping off a 5-year-old boy in the woods as punishment for wetting himself. Lynda Michel, 42, and Gregory Wilson, 32, were charged Friday in Nicollet County District Court with child neglect. Authorities say the boy is Wilson's biological son and that Michel lives with him and the child. The boy was found on Aug. 28 walking along a highway south of St. Peter, a community roughly 55 miles (90 kilometers) southwest of Minneapolis, authorities say. He was crying and wet from rain when a motorist spotted him. He told police he had been dropped off by his "mom and dad" because he had been "naughty." A man who was in the vehicle with the couple and the boy told police the man tried to talk the couple out of leaving the boy, authorities say. The couple told authorities they turned around after a short distance but couldn't find him. Police found the couple searching for the child, but the couple hadn't called to report him missing. According to investigators, officers found "multiple black and blue and red bruises" on the boy's back, buttocks and hips, indicating they had been caused over time, and Wilson told investigators that he regularly spanked the boy with an open hand. Wilson also faces charges of gross misdemeanor malicious punishment of a child and misdemeanor domestic assault. The child was taken into protective custody and is currently in foster care, according to court documents that don't list an attorney for either Michel or Wilson.